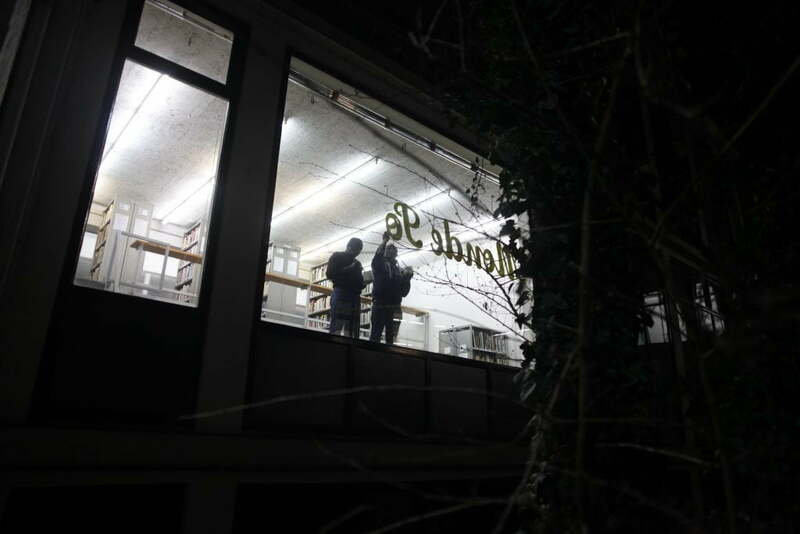 Window calligraphy by Thébol Malonga at Jan van Eyck Library, Maastricht. 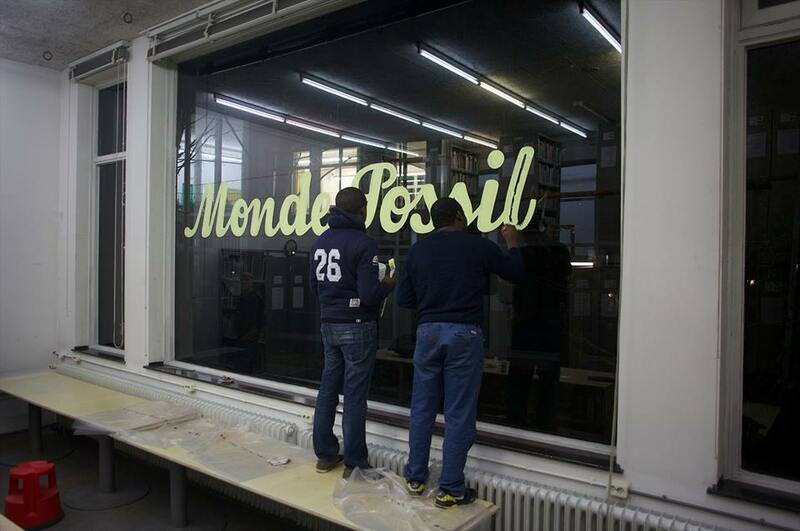 In 2014 Wiersma asked Thébol Malonga, a sign painter from Brazzaville she accidentally encountered upon in the city of Liège1, to paint the words ‘Monde Possible’ on the largest window of the Jan van Eyck building; that of the library2. This time Thébol Malonga didn’t paint his words on the window looking in, but the other way around, looking out, to possible worlds elsewhere3. When she asked calligrapher Thébol Malonga for his portfolio he told her he didn’t have one in print, the city itself was his showcase. He took her for a walk along the African shop fronts4 which he decorated with his typographic designs. The first one they stumbled upon was a hair dresser’s salon called: ‘Monde Possible’. 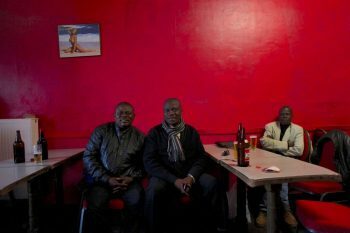 Wiersma met Thebol Malonga in Café Bel Ami, Liège. Thebol Malonga and his apprentice Eric finishing up. 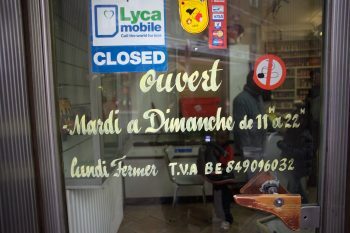 Shop front Liège, calligraphy by Thébol Malonga.